The only ramen restaurant in the world with a Michelin star is opening in Singapore next month. Tsuta, a nine-seat eatery in Sugamo, Tokyo, will open an 18-seat restaurant on the ground floor of Pacific Plaza in Scotts Road. It will be the second Tsuta in the world. The launch date is not confirmed. The restaurant will be a partnership with investment company Hersing Corporation, which is also behind Tim Ho Wan and Kam's Roast Goose, that will also open at the mall, in November. 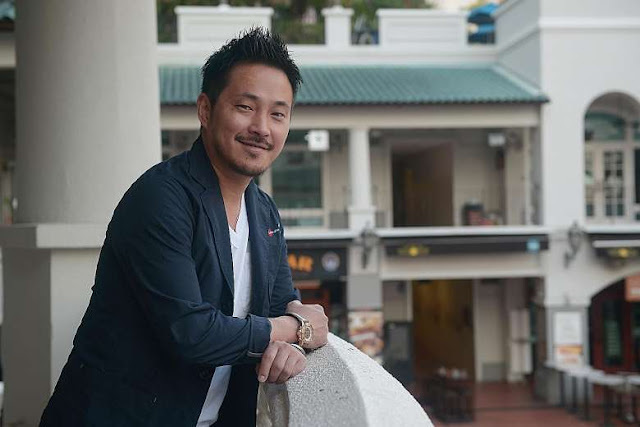 Tsuta chef-owner Yuki Onishi says in Japanese via a translator that he was persuaded to open the 1,000 sq ft Singapore outlet because of the sincerity of Mr Brian Chua, Hersing's vice-president. One day after Tsuta received its one Michelin star on Dec 1 last year, Mr Chua contacted him via Facebook to open a branch in Singapore. The following week, Mr Chua, 35, flew to Japan to try the ramen at Tsuta, where he waited in line with other customers. On accepting Mr Chua's offer over the many other opportunities to open branches overseas, Mr Onishi, 37, says: "Others only contacted me by mail and just wanted to talk business. I don't know if they came to queue and try the ramen." Mr Chua says jokingly: "The key difference is that he needs to know you ate the ramen. After Tsuta got its Michelin star, we didn't want to waste any time getting in touch." Mr Onishi visited Singapore in January - his first time here - and the deal was sealed in February. He is back this week to train the team here. He will also be based in Singapore for three months when Tsuta opens and plans to return every few months. The Singapore menu will feature Tsuta's signature shoyu and shio ramen. Miso ramen and tsukemen (ramen served with dipping soup) - which are on the menu in Japan - may be introduced later. The shoyu ramen is made with shoyu (soya sauce) from a factory in the Wakayama prefecture and blended with two other types of shoyu and a dashi made with beef, vegetables, clams and other ingredients. It is topped with black truffle sauce. The shio ramen is made with chicken-seafood broth, rock salt, red wine and rosemary. Interestingly, the eatery's full name is Japanese Soba Noodles Tsuta, but Mr Onishi explains that he uses the word "soba" as the noodles are "typical of Japanese food culture and held at a higher standard than the more common ramen". Soba is commonly made with buckwheat flour, but the ramen at Tsuta is made with a blend of four wholewheat flours. The noodles served in Singapore will be made here using the same ingredients. Mr Onishi gave up his five-year career as an importer in the fashion industry to learn the ramen business from his father, who started a traditional ramen restaurant called Mejiro 19 years ago. During his travels to the United States for work, Mr Onishi realised that food was always served with a sauce. "I felt it would be interesting to introduce ramen, where the focus is on the dashi stock instead." After training for seven years with his father, he opened Tsuta in 2012, serving his ramen with a modern spin by adding Western ingredients. Tsuta means "ivy" in Japanese and is his family's "symbol", he says. The shop is meant to carry on the family name, says the father of a four-year-old daughter. His 40- year-old wife manages the company's accounts. In Singapore, he has tried ramen from ramen chain Ramen Champion, Ramen Bar Suzuki in Circular Road and Daikokuya in Robertson Quay. He says: "The ramen I've tried so far is different from what I expected. The broth does not have many ingredients." He notes that, in Japan, tonkotsu ramen is not as popular anymore and that shoyu ramen is making a comeback. His Michelin accolade has also spawned many copycats that add black truffle oil to their ramen too. But he is unfazed by the competition. "I don't think I have the perfect ramen. I will keep studying and experimenting. As I improve in my life, so will my ramen." Tsuta opens next month at Pacific Plaza, 9 Scotts Road. A version of this article appeared in the print edition of The Straits Times on September 30, 2016, with the headline 'Michelin-starred Tsuta to open at Pacific Plaza'.